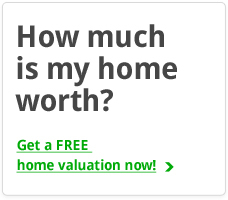 Do you know how much your home is worth? If not, there are many ways in which you can discern the value of your home. Knowing the value of your home is essential to ensuring that you get a good deal when you sell it. 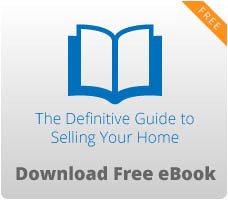 Let’s look at the various ways that you can find out how much your home is worth. The easiest way to determine how much your home is worth is to get an appraisal. If you don’t want to get an appraisal, you can look at past appraisals to get a ballpark figure of the value of your home. Looking at homes in your immediate area can give you an idea of how much your home is worth. If the home next to you is valued at $100,000, there is a good chance that your home is valued somewhere close to $100,000. However, make sure to check that any home that you compare your home to has similar features and is located in a similar area. For example, if the house across the street from you backs up to a highway while your home backs up to a forest, your home is probably going to be worth more. If you are planning on selling your home, you can ask a real estate agent to take a look at your home before you list it. A real estate agent can look at your home and give you a good idea as to how much your home should be listed. 4) What Is The Market Like? During a stronger buyer’s market, your home may not be worth as much as it would be if it were being sold during a strong seller’s market. Therefore, you need to consider how much demand there is for homes before you decide on a list price. It is important that you don’t use your current mortgage as a guide for how much your house is worth. Taking out a loan on your home for $200,000 doesn’t mean that your house is worth $200,000. There is a chance that you may have overpaid or paid more because you bought your house during a period of time when housing was in demand. Do you need to know how much your home is worth? Fortunately, there are a lot of people you can turn to if you need help answering that question. The sooner that you can get your house appraised, the easier it will be to list a reasonable asking price when you decide to sell your home.